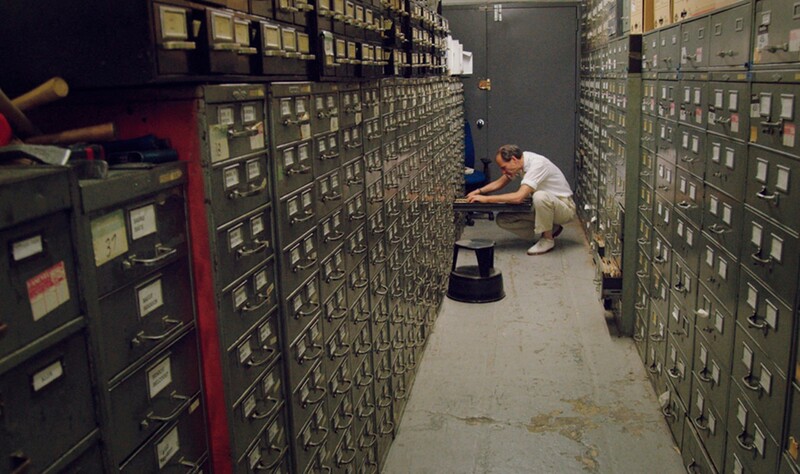 Archivist Jeff Roth mans the New York Times "morgue" in the documentary "Obit." Early on in "Obit" -- the affectionate new documentary which gives viewers a look into the day-to-day experiences of the writers staffing the New York Times obituaries desk -- one of the film's subjects is asked if their work is depressing. After all, the job of an obituarist requires one to literally spend nearly every waking moment thinking about death and mortality. 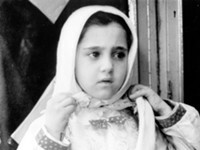 But as Margalit Fox, one of several Times writers interviewed for the film, points out, often only a single line of an obituary is related to the actual death; the rest of the piece is all about celebrating an individual's accomplishments and legacy. So really, she says, an obituary has next to nothing to do with death and everything to do with life. Director Vanessa Gould takes that idea to heart, and her film is unexpectedly joyous as it celebrates an unsung profession. She and her crew get to be a fly on the wall at the Times offices, observing the meetings and discussions about who gets the prime front-page placement, then following each writer's process as they research the details of an individual's life (though always mindful of their strict deadline) and making phone calls to surviving family members. Gould gives the film a loose through-line, following writer Bruce Weber as he researches an influential advisor to John F. Kennedy during his presidential campaign. Through talking head interviews and a plethora of archival footage, we end up with a good sense of what goes into the job. "Obit" is a reminder of how much of a pleasure it can be to simply observe people who care about what they do and about doing it well. Where once the obituaries beat was viewed as punishment or a job reserved for writers nearing the end of their own careers, the current NY Times staff members show that has evolved over time. These days, it's all about storytelling as writers find creative and unexpected entry points into the lives of the individuals they write about. And the results can be funny, interesting, or moving in and of themselves. If the New York Times is bothering to write an obituary about someone, that person was newsworthy in one way or another, someone whose life had an impact on our world. As a result, there are pluses and minuses to the job: the plus side is you get to spend your days writing about fascinating people; the downside is that if they're the one writing about them, it means that person is dead. As Fox puts it, by the time someone's name crosses her desk, they're already history.